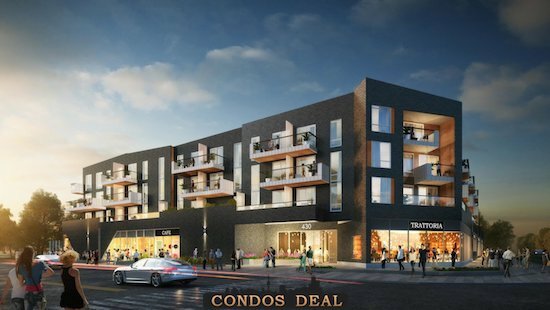 430 ESSA Condos is a new condo project by One Urban and is currently in pre-construction. 430 ESSA architect is designed by Quadrangle Architects Ltd. The new project will be located at 430 Essa Road in Barrie. The major intersection is Essa Road & Veterans Drive. 430 ESSA Condos will be a 4 storey tower with 67 mixed condo units. Units will be a mix of one bedroom, one bedroom plus den and two bedrooms. The building will feature retail space on the ground-level. Condos will have units starting from the $200s. The estimated completion date for 430 ESSA Condos is still unknown.